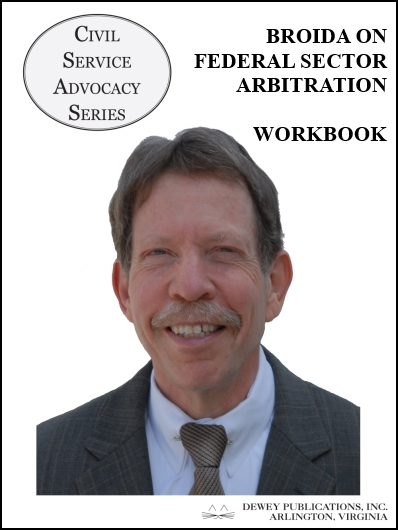 Presented by Peter Broida, this video training course offers comprehensive instruction on federal sector arbitration. The training course includes Mr. Broida’s lecture (.mp4 video sent on a DVD) and a workbook. The 232 page workbook contains reference materials, course notes—outline, cases, and a bibliography. Workbook pages are referenced throughout the video lecture, allowing users to pause the video and review the materials. Dewey’s popular Principles of Federal Sector Arbitration Law by Broida and Davis is available for $75 off its original purchase price with each purchase of Broida on Federal Sector Arbitration Training Course.